HCMC will use its own budget this month to pay Japanese contractor Sumitomo Corporation for work done on first metro line. While waiting for funding disbursement from the central government, the city will use more than VND2 trillion ($86.2 million) from its own budget to pay for the work that the contractor has completed during last year and so far this year. "The city will do its best to make the payment before February 1," municipal Chairman Nguyen Thanh Phong told Japan’s state minister for foreign affairs Toshiko Abe at a Friday meeting. In late November last year, Japanese Ambassador to Vietnam Umeda Kunio had said that unpaid bills for the Japanese contractor had climbed to $100 million. If the city failed to pay that bill by the end of 2018, the contractor might have to stop its work, he said in a letter sent to the government, ministries and the HCMC People’s Committee. Kunio said the Vietnamese government and HCMC had been "seriously" late in disbursing funds for the Ben Thanh - Suoi Tien metro line, even after the problem had been discussed several times by the governments of Japan and Vietnam. Before Vietnam's authorities received that letter, the HCMC Urban Railways Management Authority had already said it needs nearly VND2.25 trillion ($96.52 million) from the city's own budget to pay the contractor. This will be the fifth time the city is making an advance payment (before getting funds from the central government) for the contractor of its first metro line since 2017. The payments the city made had climbed to VND3.27 trillion (over $141 million) by the end of last year, but the city has only received VND591 billion ($25.41 million). Work on the first metro line started in August 2012. It runs 20 kilometers (12.43 miles) through the five districts of 1, 2, 9, Binh Thanh and Thu Duc, as well as Di An District in the neighboring province of Binh Duong. 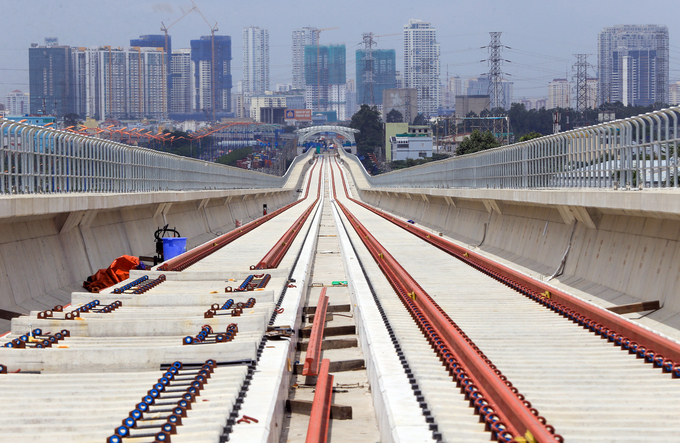 It will run underground from Ben Thanh Market for 2.6 km past the Opera House and Ba Son Shipyard, and then cross the Saigon River on an elevated track that passes through District 2 on the way to Suoi Tien Park and the terminus at Long Binh in District 9. So far, 60 percent of the project has been completed. The line, approved by the city back in 2007, was to be built using official development assistance (ODA) from the Japan International Cooperation Agency (JICA), but a delay in approving a revised plan to adjust the investment cost upwards has resulted in a lack of funding for the project. The initial cost of the project was estimated at VND17.4 trillion ($740 million). At this estimate, the project did not fall under the category that needs to be reviewed by the National Assembly (NA), Vietnam’s national legislative body. In 2009, consultants recalculated the investment needed at VND47.3 trillion ($2 billion). In 2011, the Prime Minister agreed that HCMC can revise the original estimate, but the revised cost pushed the project into the category needing NA approval. The metro system is now considered a key national project requiring the NA’s approval before the government makes any financial decision. While that approval is pending, there is no point in conducting capital assessment and investment disbursement surveys, officials have said. The central government early this month had eventually approved an upward revision in the cost of the line, but it’s not clear when the funding will be disbursed to the city administration.